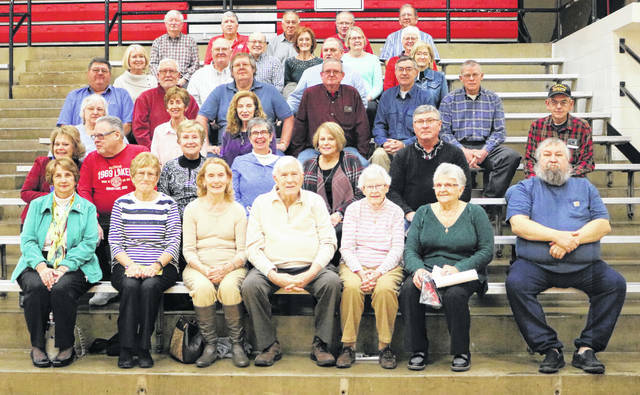 Members of the classes of 1969 and 1970 and former staff members gather on the original bleachers in the ILHS Main Gym. 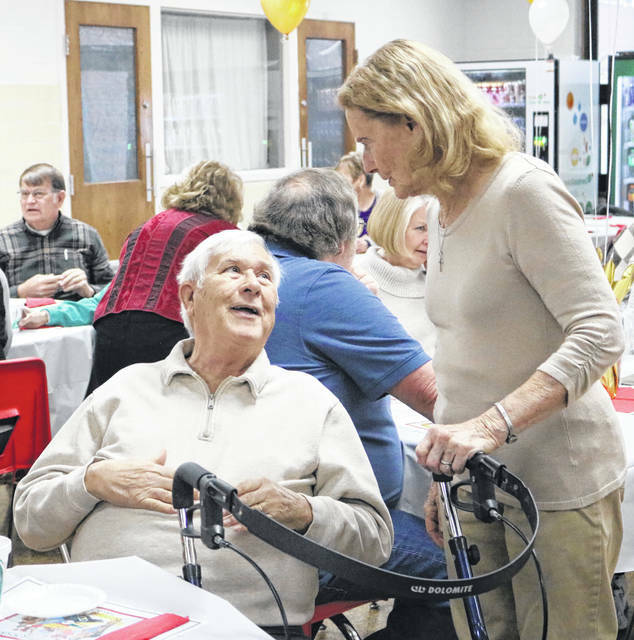 Former Indian Lake Superintendent Bob Henry talks with former ILHS teacher Rosemary LeVan. Indian Lake High School hosts 50 Years of the ILHS Facility Breakfast. Lots of Lakers and members of the Indian Lake community came together to celebrate 50 years of the Indian Lake High School facility recently. 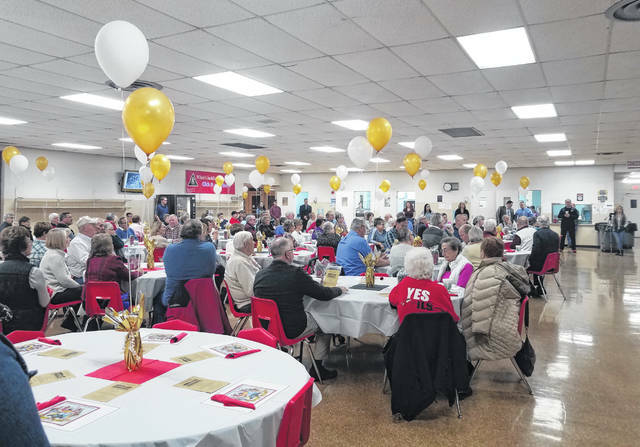 More than 120 community members and members of the ILHS Classes of 1969 and 1970, along with former staff members gathered for a special breakfast on Jan. 18. It was 50 years ago that many students and staff helped move from the Lewistown building to the new ILHS. The original facility was completed in late 1968. Students moved in over Christmas break and began classes in January 1969.